To be honest, I really wasn’t looking forward to visiting the Musical Instrument Museum (MIM) in Phoenix, but it’s something that I had to check out for my readers. I figured that I’d see some instruments and learn a little bit about their history, and maybe if I was real lucky I’d also get to hear a little music. I wasn’t expecting much, as I’m not a real musical instrument fan, so I kind of figured that I’d be bored to tears. Boy, was I ever wrong! I’ve been to a lot of museums before, and the challenge for the curator is to tell a story in an interesting manner. And I have to say that the MIM curator hit the nail on the head on that one. The galleries are divided by continent, and from the time I entered the Asian gallery to the moment that I heard the announcement that the museum was closing, I was transported on a cultural journey around the world, with music being the key unifying element. 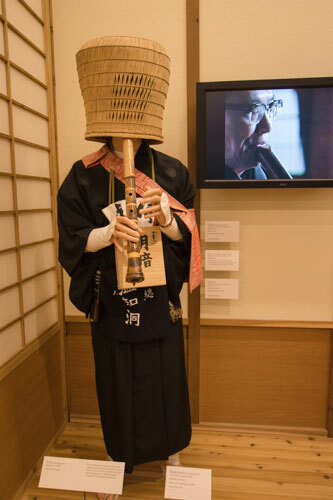 Inside each continental gallery, individual countries are represented with a display of traditional musical instruments and interpretive panels. 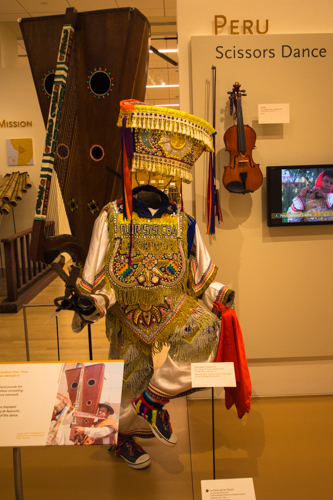 But then, here’s the kicker – there is also a video monitor at each exhibit, which plays sample clips of the native music. And with the proximity alarm on the headset, all you have to do is approach the monitor, and you’re treated to this Lowell Thomas like presentation of musical, song and dance. There are no buttons to push, or complicated devices to operate – all you have to do is walk up to the monitor. It’s this unique addition to the exhibition that really gave me that full multi-sensory experience. And I learned some things along the way. For example, we don’t really know what the music of North Korea sounds like today, but the video clip of children playing instruments and singing was provided by a former North Korean who fled to the south. It’s believed that this kind of a musical presentation doesn’t exist today, but because the country is so secretive, we don’t really know. I also have to add that if you love to travel as I do, you’ll absolutely love this museum, as throughout the exhibition I recalled bits and pieces of my own travels over the years. Access is excellent inside the museum too, with elevator access to all floors, accessible restrooms and plenty of room to maneuver a wheelchair in the galleries. So give it a try, even if you aren’t a huge music fan. I guarantee that you won’t be disappointed! 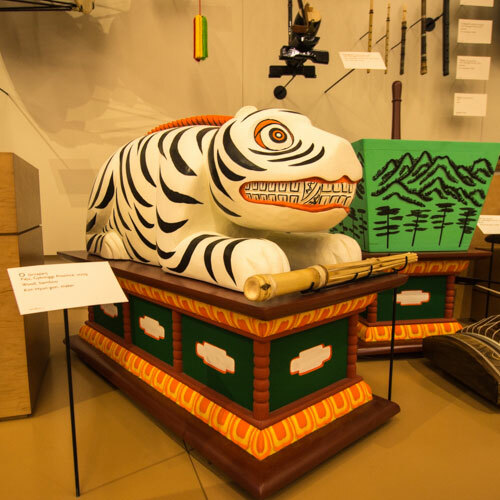 This entry was posted in Attractions, Destinations and tagged accessible, Arizona, disabled, musicsl instrument museum, phoenix, travel, wheelchair by Candy B. Harrington. Bookmark the permalink.